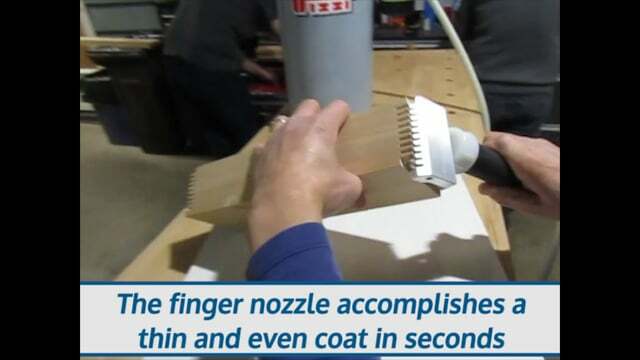 Finger joints require more accurate gluing than most types of joinery- too much glue can prevent a strong 'grip' between the connecting fingers. With a tight cut and precision gluing, however, finger joints are one of the strongest ways to join wood. This nozzle glides between the tight fingers of our own Rangate Finger Joint Cutter as well as the #04137 Garniga Finger Joint Cutter.